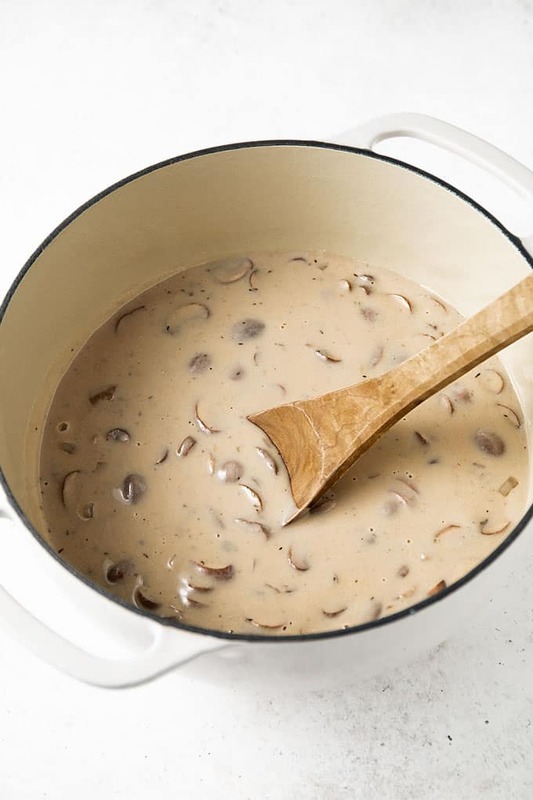 So rich, savory and satisfying… this easy homemade Cream of Mushroom Soup is pure comfort in a bowl! 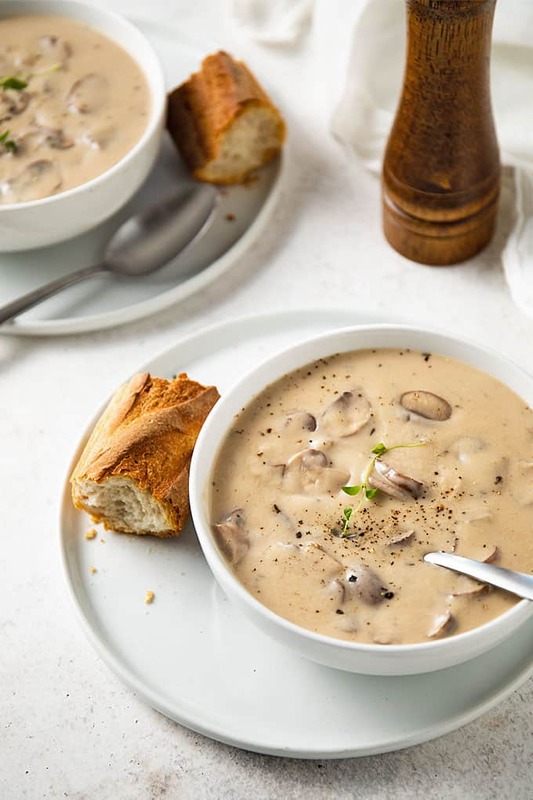 If you’re a mushroom lover (like me) you are going to LOVE this soup. 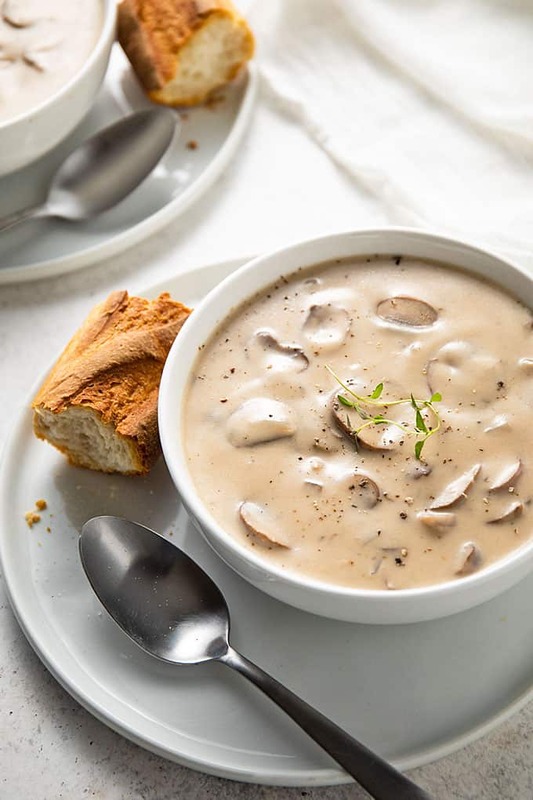 It’s chock-full of fresh mushrooms in a rich, savory and creamy broth. 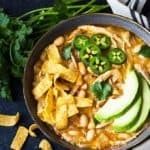 The best part is that it’s ready in under 30 minutes. 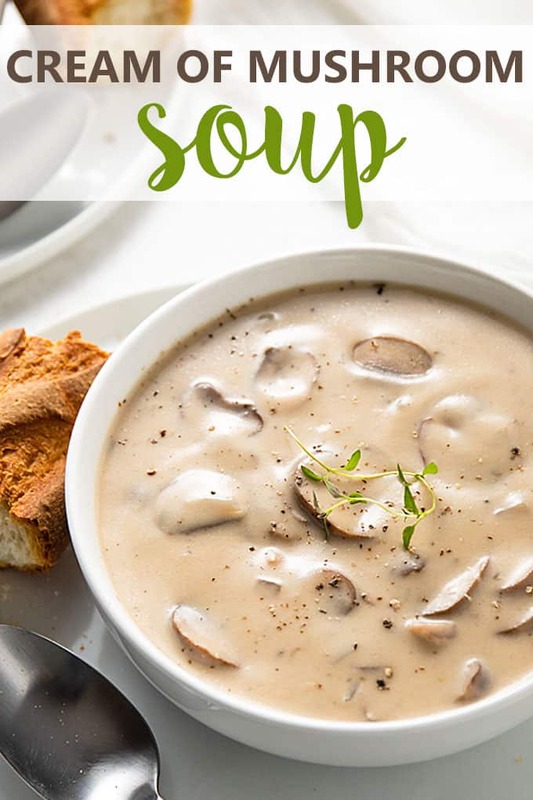 You’ll never want to buy canned soup again! 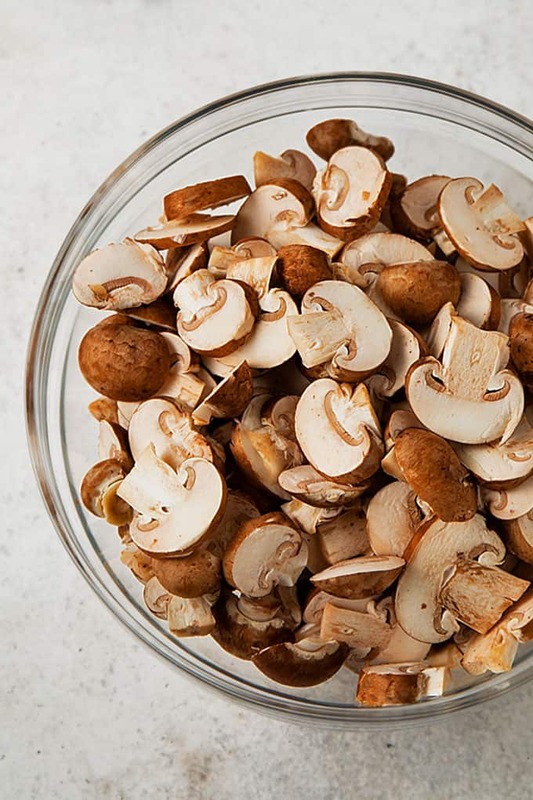 I used baby bella mushrooms in this recipe, but feel free to use any type or mixture of mushrooms. 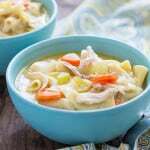 This recipe calls for chicken broth, but vegetable broth can most certainly be used to make this vegetarian. 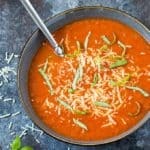 As always, feel free to adjust the herbs and seasonings to your personal preference. ENJOY! 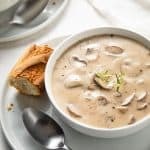 This mushroom soup is simply the best and easiest! No more cans for me. 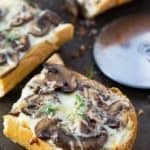 I love your recipes but this one stole first prize as I love mushrooms. Thank you! SO much better than the can! Downright dreamy! 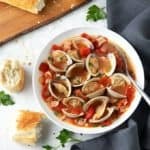 Simple and Delicious!! 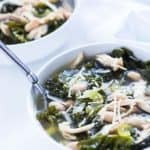 I have to use Reduced Sodium Broth and this STILL was Awesome! My new favorite! What’s a half and half?